Japanese are known for being group-oriented—this is not a secret. Thus, the basis for many of their actions is less what they themselves want to do and more what the group wants them to do. While many people still do have their own tastes in music, they only share these tastes with certain people, if they share them at all. This is where the idea of “common music,” as Koizumi dubs it, comes in. She defines “common music” as any song that “everyone can sing together,” especially ones with “a cheerful character both in its words and music,” (Koizumi 113). This song epitomizes “common music.” It is happy in nature, the melody is simple and catchy, and it is by a popular artist that everyone is sure to know. You can look at all the latest hits here. SMAP was produced by Johnny & Associates, a male talent agency that trains male idols. It is known in Japan as ジャニーズ, or Johnny’s. They are also responsible for producing Arashi, KAT-TUN, and NYC. Groups like these are made up cutesy ultra-chic (if not girly) men that, more often than not, posses no real singing ability. Because they cannot actually sing, a lot of the success of the groups is based upon how attractive they are, along with how their catchy their songs are and how these songs are received by the general public. The most recent Johnny’s group to be at the top of the charts is NYC Boys. Here is their song, 100% Yuuki, which was recently number one on the J-Pop charts. In short, Ferranti suggests that whether J-Pop artists realize this or not, their music has unique Japanese aspects to it. These aspects must be what attracts foreign audiences to J-Pop, much like they are attracted to anime and manga for their Japanese qualities. 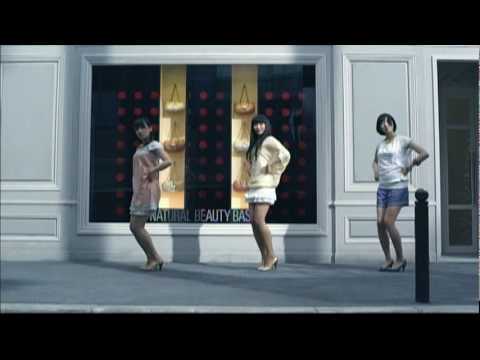 J-Pop is a product of post-modern Japan, fusing together elements of Western music with Japan’s own culture, to create something unique (and arguably meaningless). Japanese people like it because of its “common music” function, which allows them to fit into a society in which individualism is frowned upon. Foreigners like J-Pop for the Japanese aspect of it, as it is another “cool” thing made in Japan. Is this “common music” idea unique to Japan, or do you feel it is incorporated into other cultures as well? What are your views on Johnny’s, and how do you think their ultra-feminine pop stars are affecting the Japanese image of masculinity? Why do you think some foreigners like J-Pop? As a fan of Japanese pop music, I really enjoyed reading this blog post. Your reference to the concept of “common music” definitely shed some light on the subject of why certain types of songs have become so popular within Japan. You also provided pertinent examples of current J-pop that provide a good basis for your arguments. When describing the cultural milieu that has produced J-pop, I think it would be better to generalize less and provide more specific references that support your claim that J-pop reflects group-oriented values, etc. in Japan. I also would argue against describing J-pop as having “no lyrical value.” The term itself is rather vague, and I think that a song employing generic or over-used phrases in its lyrics is not the same as a song having no worth in its lyrics, so to speak. Is there a different term you could use to describe J-pop lyrics? I really enjoyed your comparison of American and Japanese popular songs in class. I think expanding upon this comparison, using specific examples to bolster your arguments, would be a great asset to your final paper on J-pop music.